With the football World Cup in Russia just days away, one of the best players in the world, Neymar Jr has been showing us his unique Gagà Milano timepiece. 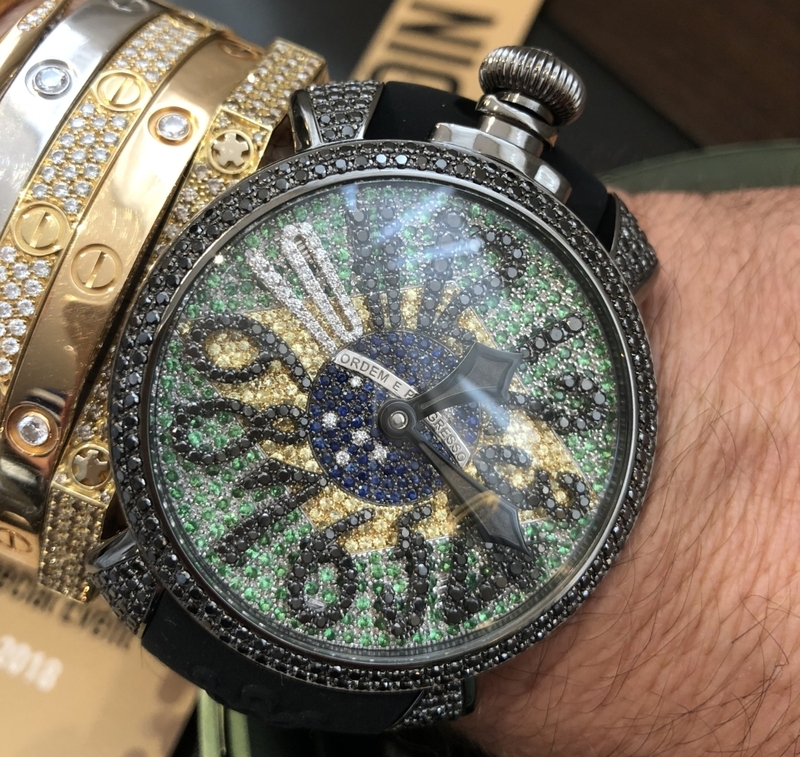 The watch specially created for Neymar was handed to him on Sunday before Brazil’s warm-up match versus Croatia at Liverpool’s home ground, Anfield. It was a good day all round as Neymar scored a brilliant goal in the 69th minute and Brazil went on to win 2-0. 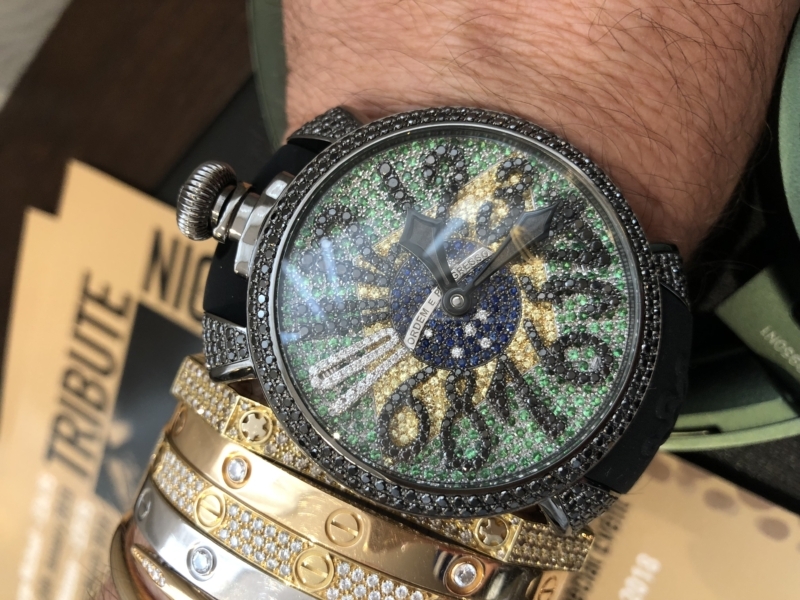 The ‘one-off’ watch is a 48mm hand winding, special silver dial representing the Brazilian flag with blue and yellow sapphires, tsavorite, white and black diamonds. 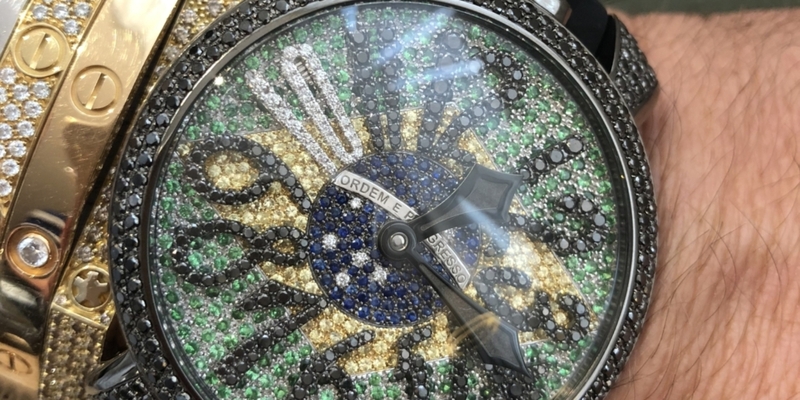 The number 10 is highlighted with diamonds reflecting Neymar’s shirt number. The case is black steel with black diamonds. Neymar has been a huge fan of the brand since 2014 when he randomly visited a GaGá Milano boutique in Tokyo and purchased 16 watches and some accessories. Since then he has remained close to the brand becoming their brand ambassador and launching his own line earlier this year. Next article What’s In A Watch Box?